After nearly thirty years of serving my country as a Soldier in the United States Army, I realized after retirement, I truly missed teaching, mentoring and developing young Soldiers. I needed to redefine my life’s goals and vision. What were my passions, how could I continue developing young men and women? Initially, after retirement I fished almost every day, a hobby and passion instilled in me by my late father. Although, fishing remains my top passion and hobby, I longed for something more personally satisfying. After a year of retirement, I returned to work as a Logistics contractor on a military base. My job placed me in direct contact with many young Soldiers. Through daily interaction, I realized knowledge and experience I gained as a Soldier remained relevant with young Soldiers of today. In addition to my job, I informally mentor young men and women in uniform. I'm inspired by their unbridled passion and energy; the boldness of their ideas, and their desire to achieve. I also realized, within the civilian communities surrounding my military base, there were hundreds of young minds just as energetic and passionate. So, I now go into the communities, talking and sharing with young people. Far too many young people are disadvantaged either through lack of positive role models, financially, or simply too few opportunities. 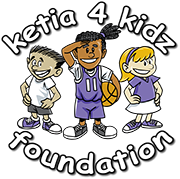 The Ketia4Kidz Foundation seeks to bridge the gap through positive role modeling, mentoring, and financial support. I strongly believe in, and support the “Ketia4Kidz” Foundation because of its charitable outreach and support of continued education for military kids.